Photokina 2016 proved to us, with the announcement of the a99 II, that A-mount isn’t dead: it was just waiting for the right tech to show up for its next big release, like the 42MP BSI-CMOS sensor that debuted in the a7R II. 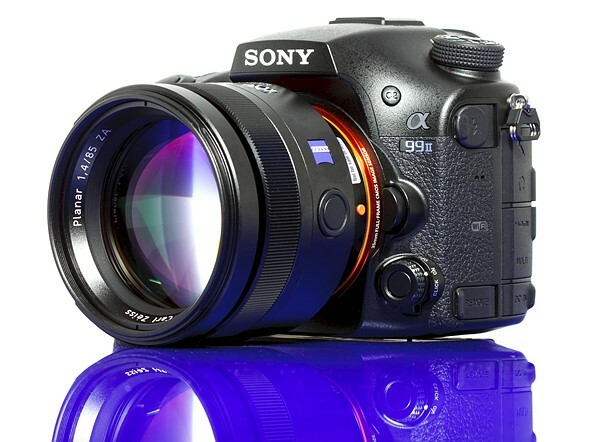 So much more than an a99 with a new chip, the a99 II’s improved specifications aim to put it in the same company as DSLRs like the Nikon D810 or Canon 5D IV, and full-frame mirrorless cameras like Sony’s own a7r II. The weather-sealed body features a dedicated PDAF sensor separate from the imaging sensor that has light directed to it via a mirror, like a traditional DSLR. Unlike a DSLR, this mirror doesn’t ever flip out of the way. Instead, it is semi-transparent and sends only part of the light to the dedicated AF sensor, and lets the rest of the light pass through to the imaging chip. The camera can use both of these AF systems where they overlap, creating a Hybrid Cross Type AF system that should deliver both speed and accuracy that Sony hopes will match the best systems out there. Also, the fixed mirror means AF readings can be taken with the dedicated sensor even while the shutter is firing, which should result in high ‘hit’ rates even at the maximum 12 FPS burst shooting. The downside is the loss of around 1/2 stop of light, something that the impressive 42MP sensor shouldn’t mind too much. The a99 II also boasts some impressive video specs, which should be enhanced both by the camera’s ability to continuously autofocus in video and by its in-body image stabilization. All of these features are controlled via a re-worked menu system that color codes sections and categorizes settings by which aspect of the camera they are adjusting, like Flash or Autofocus. Do all of these improvements transcend the inherent pitfalls of SLT technology? Operation & Controls, and Image Quality pages published.